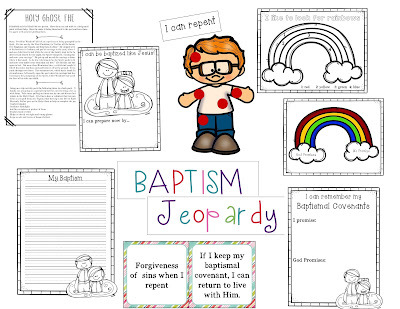 I have some fun and free lesson helps to go with this weeks Come Follow Me lesson. 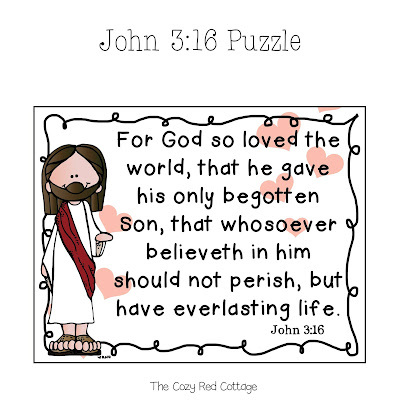 It covers John 2-4. This works great for families or primary classes. 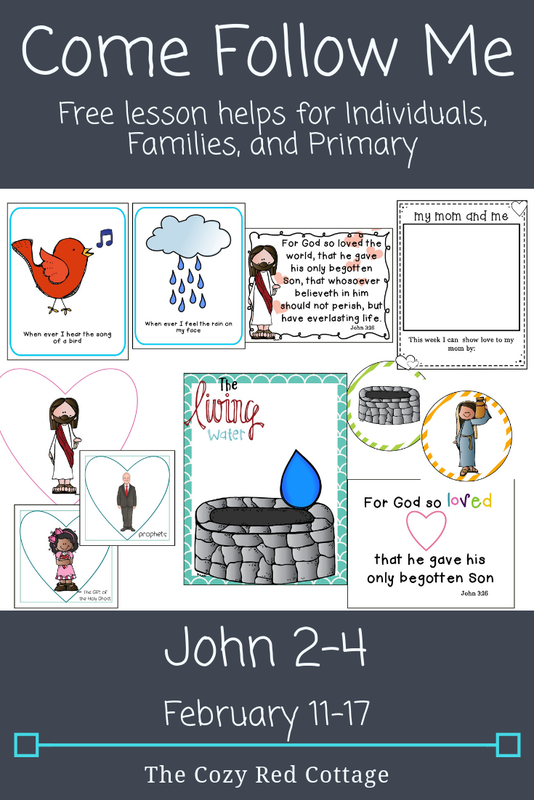 There are even a few printables for you :) I pulled ideas from the Individual and Family, & Primary manual. I always recommend reading through the lesson and scriptures first and then use what works for you. In case you were wondering we never get to even half of these ideas during the week. I love having options and pick my activities based on where our discussion leads and what I feel would be best for my family or primary class that week. Many of these topics are covered in several different lessons so if you don't get to it one week there is probably a chance it will fit in later on. You'll notice that I've started referencing past lessons a lot in this post and this is to help you find additional ideas that may work better for you. This also might make it a little more confusing when trying to download your activity so if you can't find the one you are looking for please ask and I'll point you in the right direction. There are a few lessons that can be taught from the story of Jesus turning water into wine but I loved this idea in the primary manual (2nd idea under that section). It focus on the verse John 2:4 (jst footnote).“Woman, what wilt thou have me to do for thee? that will I do.” Discuss how Jesus treated his mother and how we should treat our mothers. You can use this coloring page to have your kids draw a picture and then write something they can do to help her this week. John 3:1-10 would be a great time to talk about baptism or the holy ghost. 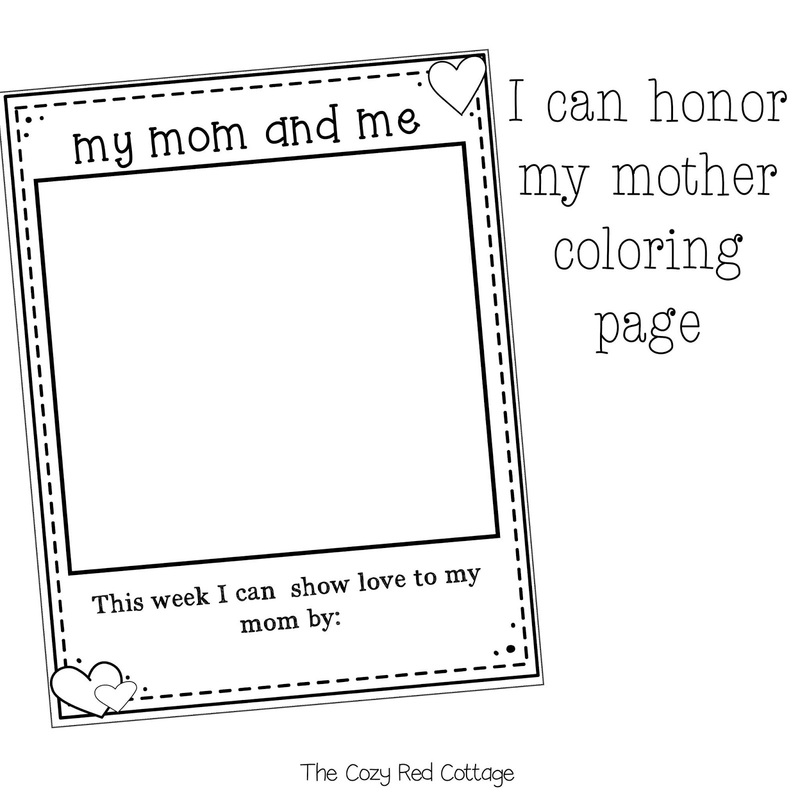 I shared some fun ideas in this post and the coloring page in the primary manual is perfect for this section. Heavenly Father loves me, so He sent His Son. 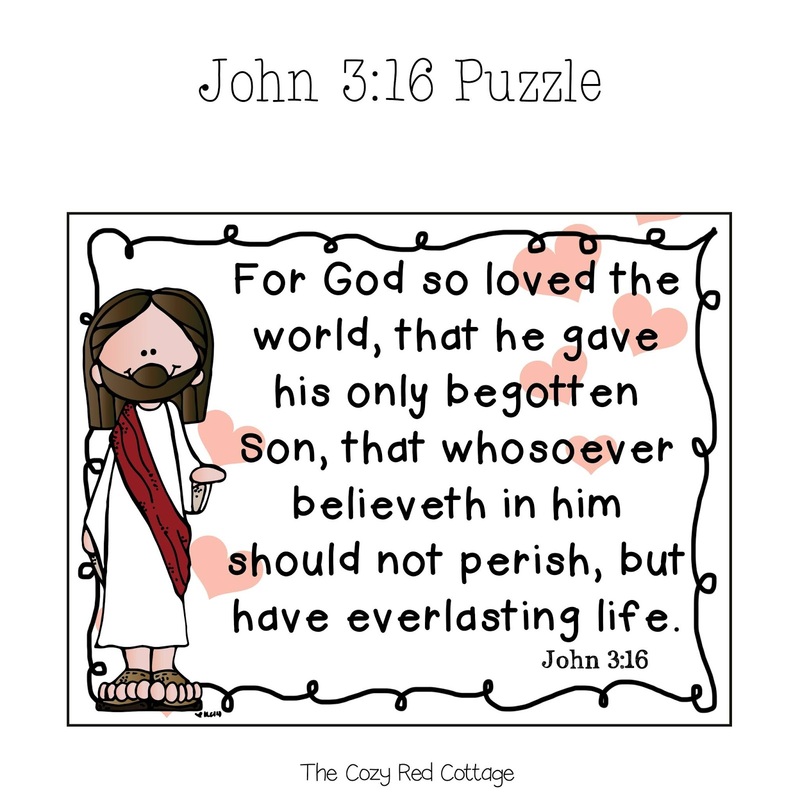 Puzzle activity: Print and cut into puzzle pieces. Hide the pieces around the room. Have your kids hunt for the pieces and work together to put it together. 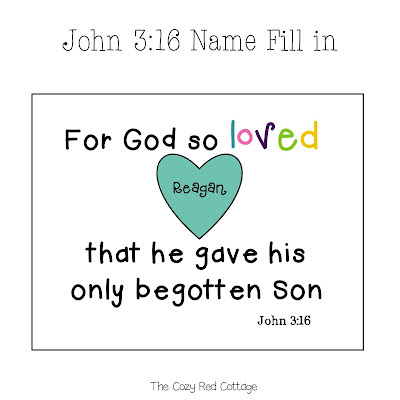 Fill in the name: I loved this idea in the primary manual. 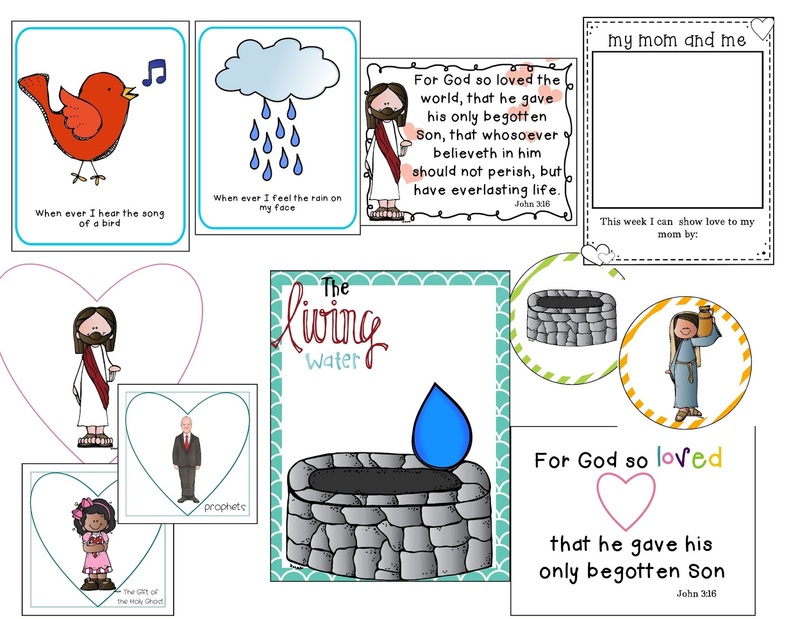 Print the Scripture card and the hearts on the next page. Cut a heart for each person and write their name on the heart. 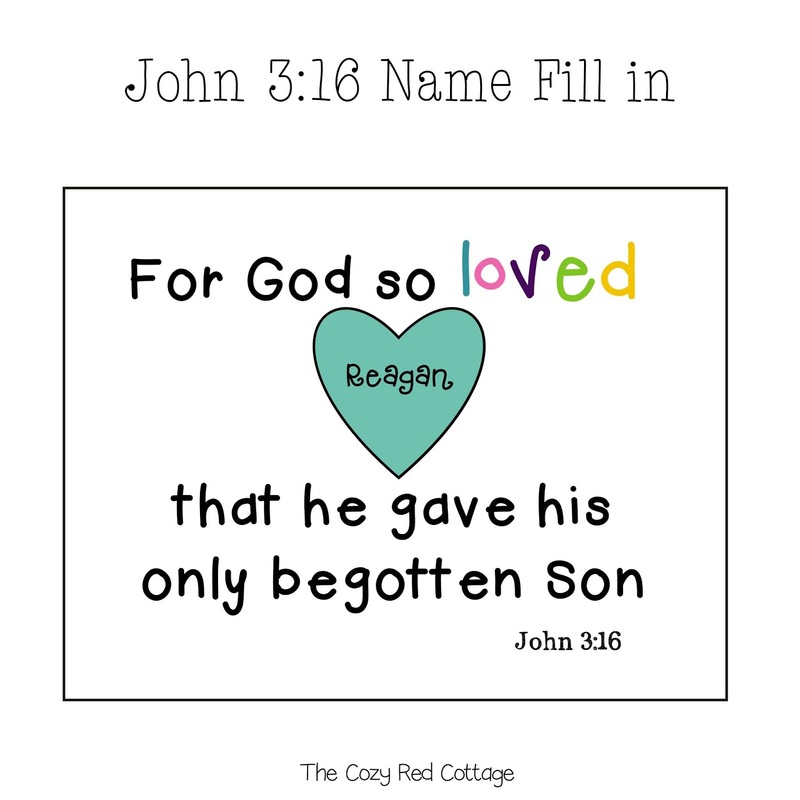 Take turns placing one heart in the blank spot and read the verse with the child's name. This is such a great lesson that teaches the scriptures are for us and about us. I have a friend that teaches her child a new song each week. I thought that was such a great way to teach the gospel. I know my little guy LOVES to sing so this is perfect for him. 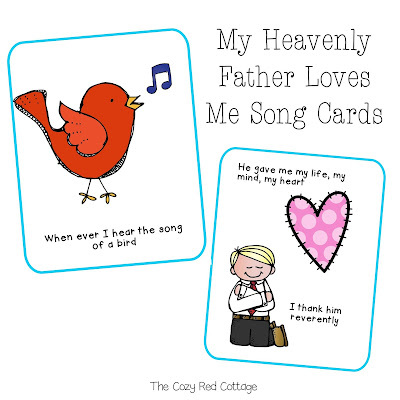 This week I included Song Cards to go with the song My Heavenly Father Loves Me. Print and cut the pages apart. I had a few ideas for these: 1. use a book ring to create a mini book that you can easily flip through as you sing. 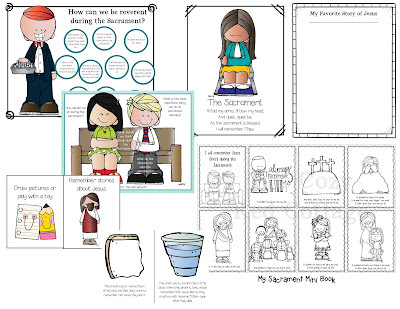 Also makes a great sacrament book 2. Tape the pictures to a board so you can see them all week and makes an easy visual when practicing the words 3. As you learn the song try removing a card at a time and see if your kids remember the words. This quote and printable was from a visiting teaching message a few years ago. You can find it here. 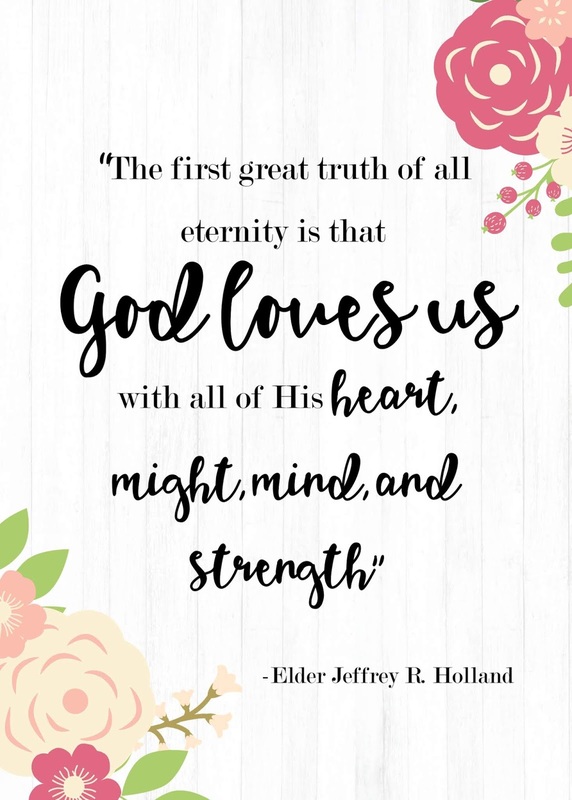 I love this quote from Elder Jeffrey R. Holland (It was in the lesson) so I included a printable that you can display or add to your journal. I've included this in the download but if you would like to resize it your can click on the picture above and save to your computer. Print at your favorite place (size to fit a 5x7). You can also copy and paste to a word document and shrink to the size you want. This is my favorite way and I like to fit 4 to a page. Please let me know if you have any questions. "The sacrament provides a time to reflect on the love of God and the gift of His Son." How can we make the sacrament more meaningful? (I & F) This would be a great time to talk about being reverent during the sacrament. 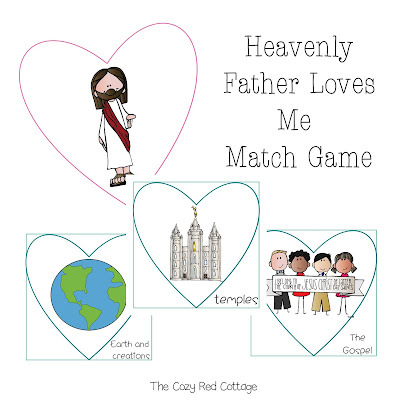 You can find some fun ideas in this post including a mini coloring book that is perfect to look at during the sacrament. Once you start feeling a little winded ask: What do you need right now? Answer: a drink of water! Give everyone a drink of water but don't fill the cup up very much. Have everyone drink their water. Then say something like oh man I need some more how about you? Then lead in to the story of the Woman at the Well (Something like this reminds me of a story about Jesus...) If you are like me and like to have it written out for you I love how A Year Of FHE summarizes the story. I did include puppets! You can also watch the video on LDS.ORG. Lead a discussion that best fits your family or class. A few ideas-compare a glass of water to a river or steam . What is the water that Jesus is taking about? How does this bless our life? Also look in the I & F, and Primary manual for some great discussion ideas! You can also use the page above and add drops of water to represent things are like “living water” that can satisfy us forever? (question from primary manual) or use them to fit your lesson :) I think we write down different parts of the gospel that sustain our spirit (such as knowing Heavenly father loves us, the atonement, scriptures, etc.) *print the water drops on blue paper if you don't want to color them. 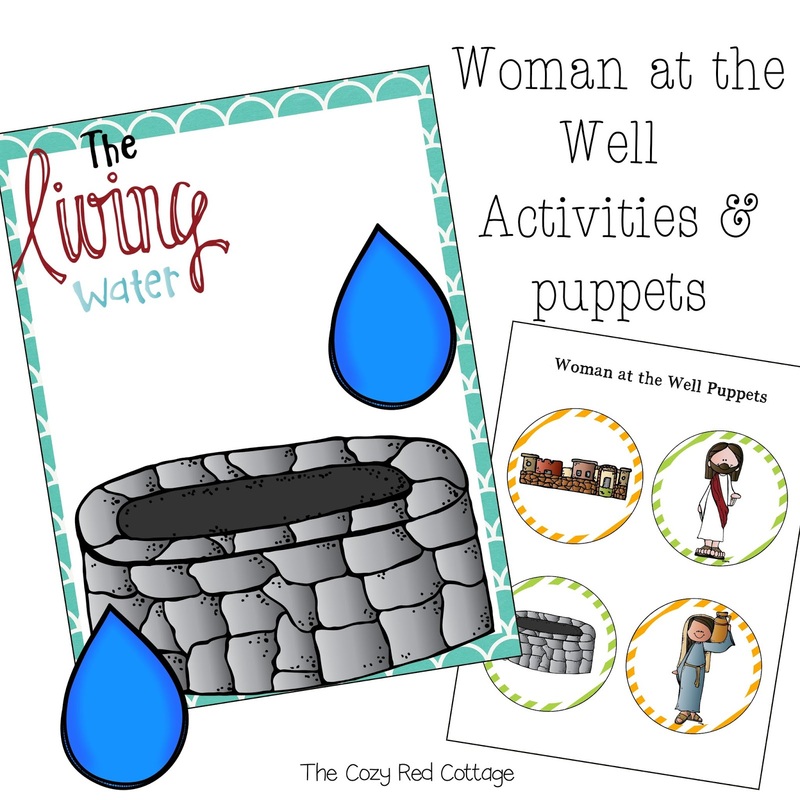 As I was studying this lesson I decided to study the Woman at the Well a little more. I remember this story but there were many parts of this story that I didn't know. 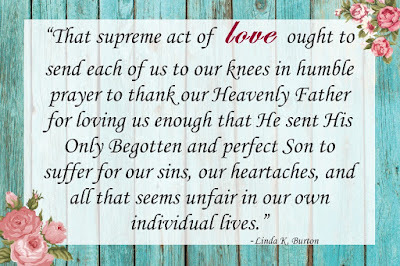 What really struck me was how much our Savior loves everyone and the gospel is for all of us! I love this song from Kenneth Cope. In the description he said "The Lord is Living Water, and life to our souls. Our spirits need Him to live and to thrive, as well as to replenish and to heal." If you have any trouble downloading or find an error please let me know and I'll fix as quickly as I can. Thanks for stopping by! Thank you so much for the beautiful handouts and activities! Thank you.... You are so talented and creative. Thank you!! I am going to use your matching game for my primary 4 class tomorrow! These are wonderful! Thank you so much for providing these beautiful resources!